The members of GHVCA will help maintain the highest possible standards for the volleyball coaching profession in the State of Texas. By working together the association will set higher standards for improvements throughout all female athletics. GHVCA will provide a governing body that will enable coaches to seek out sources of information that will enhance their ability to become better coaches through these resources provided by GHVCA. GHVCA will provide volleyball coaches an avenue to address problems they are experiencing with their respective school, athletes, fans, and officials by issuing written concerns to the association. GHVCA will be a representative to all it members with regards to any viewpoints concerning legislation with the UIL, Legislative Council, and with the State Board of Education. Coach Turner has never had a losing season as a head coach in his career. Helped raise over $250,000.00 towards the fight against Cancer – Donations have been made to MD Anderson Cancer Center & Texas Children’s Hospital of Houston. Donations were also made to the PISD Education Foundation. Coach Turner earned his 800th career win in 2017 against Alief Hastings HS. He joins a small elite group of coaches throughout the state that have attained this honor. Coach Lyndsay Hodges is in her 16th year as a teacher and coach. She played volleyball, basketball and ran track in high school and went on to play volleyball at Texas Woman’s University in Denton, TX. She received her degree in English and Kinesiology. She also has her master’s degree from Lamar University. 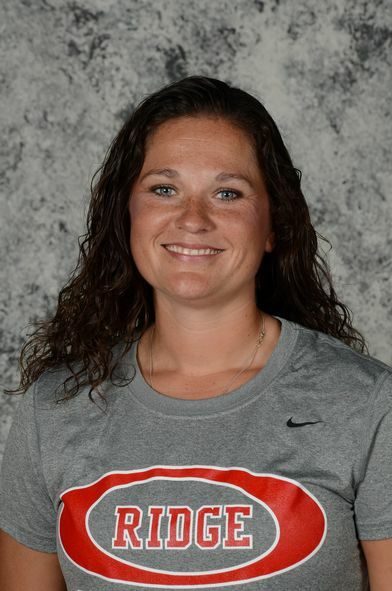 Her coaching career began at Denton High School for two years where she was a volleyball and softball assistant coach, before heading to Houston. Once here, she as an assistant for one year at Cy Fair HS under Donna Benotti before starting the Varsity Program at Cypress Ridge HS. In 2010 she left Cy Ridge to open Clear Falls HS and start the volleyball program there. Since the inception of the varsity season (2011), the Knights have made great strides. In 2011 they were Regional Quarterfinalists, 2012 Regional Finalists, in 2013 they were State Semi-Finalist, and in 2014 they were State Finalists. In 2012 Coach Hodges was a GHVCA All Star Coach and 2013 she was named the 24-5A Co-Coach of the Year, All-County Co-Coach of the Year, and TGCA Assistant All Star Coach; in 2014 she receive the Scotty Zorne award from the Positive Coaching Alliance of Houston for her efforts in making a difference in her athletes’ lives, she was also selected as the Galveston County coach of the year as well as the GHVCA Coach of the year. She served TGCA Board of Directors as the Region 5 Senior Director from 2013-2015. Jenny Adcock is in her 13th year of coaching and teaching. She played volleyball and ran track in high school in Louisiana and received many volleyball honors such as All-District 1st Team (4 years), District MVP (2 years), and All-State 1st Team (2 years) while at perennial powerhouses ESA and St. Thomas More. Jenny graduated from Texas A&M with degrees in both Biomedical Science and Genetics. To start her career, Jenny spent three years as the Varsity Coach of Allen Academy, where she led the Lady Rams to three undefeated District Championships and one TAPPS 2A State Championship in 2002. She was selected at a TAPPS All-Star coach in 2003. While at Stratford High School (2004-2010), Jenny led her sub-varsity teams to a district record of 79-1 and enjoyed learning from local legend Becky Palermo. She transferred to Memorial High School in 2010 and spent three years working for another seasoned veteran, Beth Gammill. While at MHS, Jenny was a clinician at the 2012 TGCA Satellite Clinic in Houston and in 2013 was selected as a GHVCA All-Star Assistant Coach. Jenny took over the program at Clements High School in the fall of 2014. 2000- 2010 Head Coach of the Bellaire Cardinals. District Coach of the Year every year. District Champions every year. Record – 336-58. 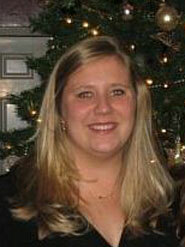 Ashley Ahlfinger will be starting her 17th year as a head volleyball coach. Sports were a way of life for her as a child and taught her many lessons. She was a high school tennis player who was 2nd in state her junior year and advanced to the final four her senior year. She played volleyball, advancing to playoffs every year with All-District Honors. One of her greatest experiences was playing volleyball at a junior college and then working for Donna Benotti as a Graduate Assistant, where she received her Master’s in Educational Administration from Texas A&M Kingsville. At 11 years old she started competing and showing horses in over 14 different events. She is a 23 time PHBA World Champion, 24 time PHBA Reserve World Champion, 3 time High Point in the Nation recipient and 4 time World Champion All-Around Golden Horse exhibitor in every non-pro division. She only lost one all-around title in a four year period and in 1999 her horse, Zippos School Bar, was inducted into the PHBA Hall of Fame. She has laid down her trophies to teach and help students find valuable lessons in life through competition and athletics, as she did. Coach Whitney Daniel is in her 5th year as a science teacher/coach and her 2nd year as a head coach at Shadow Creek HS. She played volleyball and basketball in high school and earned a volleyball scholarship to play at Pace University in Pleasantville, NY where they made three NCAA tournament appearances. She received her bachelors in science degree in Biology/Pre-Physical Therapy. She is currently working on getting her master’s degree from Stephen F. Austin State University in Educational Leadership. Her coaching career started at Channelview High School where she was an assistant track coach as well as the head coach of the Anthony Aguirre Junior High volleyball program. She then continued her coaching at Pearland High School where she was the varsity volleyball assistant under John Turner and an assistant basketball coach for two years. After learning a lot and being a part of a successful program at Pearland that made multiple playoff runs, Whitney took the opportunity in 2016 to open Shadow Creek High School and start their volleyball program as head coach. In her first two years as head coach at Shadow Creek, her girls have made it to the playoffs and were Bi-District Champions and Area Finalists for the 2016 and 2017 seasons. In 2016 she was named as one of AVCA’s Top 30 Under 30 high school coaches. Also, in 2016-2017 season picked as one of GHVCA’s All Star Assistant Coaches. Whitney is happily married to her supportive husband, Royce Daniel. Lori is a graduate of Putnam City North High School in Oklahoma City. In high school, she received numerous All Tournament Honors and was selected to the All State Team where she received MVP at the All State Game. She played collegiate volleyball for four years as a defensive specialist and on an occasion, left side hitter. The first two years were attended at Seward County Community College in Liberal, Kansas and the last two years from Midwestern State University in Wichita Falls, Texas. Lori started her teaching/coaching career in Katy ISD for nine years. She taught Physical Education and Health, and was the Head Volleyball/Assistant Track Coach at Mayde Creek High School. Lori also coached with Katy Juniors Volleyball Club for three years. 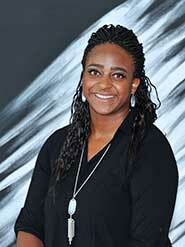 Currently she is the Head Volleyball Coach and Girls’ Athletic Coordinator at Dawson High School in Pearland ISD. Dawson has only competed at the Varsity level for three years. In 2009 they were Regional Quarterfinalists, and 2010 Regional Semi-Finalists. Lori received 24-4A Co-District Coach of the year and Brazoria County Coach of the year in 2009, 24-4A District Coach of the year and rewarded the Nike Zoom Goddess of Victory Award in 2010. She has also seen over a dozen of her athletes go to the collegiate level. 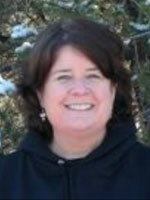 Lori is married to Mike McLaughlin and has two very active boys, Chase and Cole McLaughlin. Morgan Hunter is in her 7th year of teaching and coaching. She played volleyball, basketball, softball, and ran track in high school. She then went on to attend the University of Texas at Austin where she earned a degree in Kinesiology with a Math minor. Morgan moved to the Houston area to start her teaching and coaching career. She was the varsity assistant for four years at Pearland Dawson and is now the head volleyball coach at Foster High School. In her three seasons as head coach at Foster the team has advanced to the second round of play-offs and has also received one district championship and one co-district championship. In 2017 Morgan was named as one of AVCA’s Top 30 Under 30 high school coaches. She was also voted as District 27-5A coach of the year in 2017. Morgan has been married for one year to John Paul Hunter. Tommie Lynne is in her 11th year of teaching and coaching. She played volleyball, basketball, softball and ran track in high school. From there Tommie went on to play volleyball and softball at Hill College where she meet her husband of 11 years. Tommie Lynne graduated from Sam Houston state with a kinesiology and health degree. While at Sam Houston she won a scholarship for academics in Kinesiology. She has 2 amazing children Kolby and Taylor. Tommie began at Oak Ridge as the varsity assistant under Janet Tingle who after 27 years retired in 2007. Tommie Sledge is the 3rd coach to ever run the volleyball program at Oak Ridge High School that opened in 1982. In 2014 Tommie Lynne Sledge was voted coach of the year for district 16-6A. Donna Benotti is completing her 24th year of coaching volleyball. A Whitehouse High School graduate, participating in volleyball, basketball, track and softball. Playing volleyball at Henderson State University (HSU) and receiving a bachelors degree in Secondary Physical Education and a Masters degree in Education. In 1992, while working on her masters degree, she was a Graduate assistant, under Rhonda Thigpen. As an assistant the team advanced to the NAIA final four and placed 3rd. Beginning the head coaching career at Cedar Valley College in 1994. Benotti captured 2 conference titles in 95,96, a regional championship in 96 and National NJCAA final four tournament 3rd place finish. Receiving two conference coach of the year honors in 95 & 96; along with a region V coach of the year in 96. In, 1997 she moved to NCAA DII to Texas A&M Kingsville, where she carried the school to its first playoff appearance. Regional qualifiers in 97,98,& 99. Was named Lone Star Conference coach of the year in 98 and received national rankings in 99. Was named Lone Star Conference chair in 99. In 2000, moved to Houston and named head coach of Cy Fair High School. Cy Fair was proved to be the final destination. With playoff appearances in 01,03,,04,05,06,07,08,09,10,11,12,13,14,&15. Regional appearances in 01,05,06,07,08,09,10,12,13 and a State appearance in 07. She has been named district 17-6A coach of the year 01,04,05,06,07,09,11,12,13,14 and TGCA coach of the year in 07. 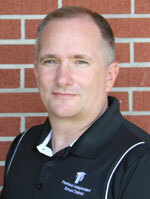 Named GHVCA all star coach 2012. She has also been honored in CFISD hall of fame 07-08 and 11-12. She has been TGCA board of directors from 2003-2009. In 2009 served on the executive committee of TGCA, 2010 Vice President, 2011 President and 2012 Past President. Benotti was an original board member of GHVCA. She has a very supportive husband, Steve Benotti. They have one son who is 18 and currently a senior high school student at Cy Fair. The name of this association shall be the Greater Houston Volleyball Coaches Association, herein referred to as the GHVCA. Section 1 – The members of GHVCA will help maintain the highest possible standards for the volleyball coaching profession in the State of Texas. By working together the association will set higher standards for improvements throughout all female athletics. Section 2 – GHVCA will provide a governing body that will enable coaches to seek out sources of information that will enhance their ability to become better coaches through these resources provided by GHVCA. Section 3 – GHVCA will provide volleyball coaches an avenue to address problems they are experiencing with their perspective school, athletes, fans, and officials by issuing written concerns to the board of the association. Section 4 – GHVCA will be a representative to all its members with regard to any viewpoints concerning legislation with the UIL, Legislative Council, and with the State Board of Education. The membership of GHVCA shall be composed of active and honorary members. Section 1 – Active Members shall be those persons who are actively coaching girls’ volleyball at the elementary, middle, junior high, and high school throughout the greater Houston area. Any active member who leaves the coaching field shall automatically become an inactive member and will no longer be a member by the end of the school year. Section 2 – Honorary Members –The GHVCA Board of Directors may present honorary memberships to persons who have made outstanding contributions to the advancement of girls athletics. Honorary members shall be eligible to vote or hold an office in GHVCA. Section 3 – A member shall be defined by the GHVCA as either active or honorary patron that is current with their annual dues and in the greater Houston area. Section 1 – Annual membership dues shall cover the period from June 1st to May 31st of the following year. The annual fee will be $45.00 per person. The cost of the annual membership plus the “first of the year meeting/clinic” will be $85.00. Section 2 – Membership dues must be current each calendar year in order to qualify themselves and their athletes for a GHVCA honor or award. Section 3 – The fiscal year of the GHVCA shall be from June 1st to May 31st. Section 1 – Officers – The officers of GHVCA shall be comprised of the Executive Director, a president, a vice-president, a treasurer, and a secretary. Section 2 – Qualifications for an Officeholder – In order to qualify for any office all members must be in good standing with the GHVCA as defined in the bylaws. Section 3 – Terms of Office –Officers shall serve for one year or until their successors are elected. No officer shall serve for consecutive terms in the same office. Section 4 – Vacancy in Office –A vacancy in the office of president shall be filled by the vice president. A vacancy in the office of vice president shall be filled by the treasurer. A vacancy in the office of treasurer or secretary shall be filled by a GHVCA board appointed member. Section 5 – The members of the GHVCA Board of Directors will be a permanent appointed position. The board is comprised of the president, vice president, treasurer, secretary, executive director and other appointed members. Section 6 – All board members will be asked to assist with the officers of GHVCA to promote and enhance the proposed policies that will be presented to the UIL and Legislative Council by the association members. Section 7 – Any committees that are organized within GHVCA will be governed by the president of the GHVCA. Section 1 – Nominations will be taken at the March meeting at which time the board of directors will vote on each office by hand/ballot unless only one person is nominated then there will be a voice vote at that time. Section 1 – Board members and officers are required to attend all meetings called by the President or Executive Director of the GHVCA. Section 2 – If any member or officer of the Board of Directors with voting privileges granted by the bylaws of the GHVCA misses one scheduled Board of Directors meeting in a GHVCA calendar year (June 1st to May 31st), the member or officer will be required to submit to the president, in writing, the reason for the absence. The notice must be submitted within one week of the absence. Should additional meetings/events be missed, the board member/officer will be subject to removal for not performing his/her duties as established by the bylaws of GHVCA. Section 3 – There will be three GHVCA meetings, an All Star event, a clinic, and a preseason honoree social that every board member is expected to attend. These events will be held in June (preseason selections), August (honoree social), December (All Star selections and prep), February (All Star Games), March (clinic prep), and May (clinic). Each specific meeting/event date will be determined at the June meeting for the upcoming year. The nominated athlete must be a senior in good standing with their high school program. Coaches can nominate up to four players per school. The deadline for the nominations to be submitted to the GHVCA will be the final day of district certification set by the UIL for each calendar year. There can be up to four players named from each school to the all-star teams. The nominated player must have been selected to their perspective All-District 2nd Team or better to qualify for the all-star team. Players and coaches will be selected from high schools located in the Greater Houston Area deemed by the GHVCA. All classifications (IA thru 6A) and private schools will be included in the selection pool process. All nominating coaches for the All-Star Tournament must be active members of the GHVCA. The GHVCA Board will select 4 teams for the annual all-star event. The name of each all-star team will be the following: Houston North, Houston South, Houston East, and Houston West. The number of players selected by the GHVCA Board to each of the all-star teams will be 10. The breakdown of positions that will be selected is as follows: (2) Setters; (3) Middle Blockers; (3) Outside Hitters; (2) DS/Liberos; there will be a total of (10) alternates selected in the event that some all-star selections decline to play. The GHVCA Board will select eight coaches to be honored as outstanding coaches in the greater Houston area. They will be assigned an All Star team and will also be an honored presenter at the All Star clinic, which will precede the All Star games. Each honored coach will be given an honorary membership (if not a current member) from February to May 31st of that year.